Open pCloud with your web browser and go to “Audio” on the sidebar to the left. From here on, there’s two ways to create a playlist. You’re done! 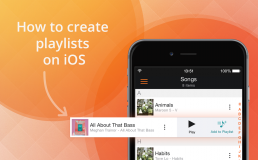 You can now enjoy your fine music selection everywhere you go, because pCloud will sync the playlist on all your devices. 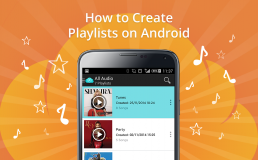 Feel like sharing your music with family and friends? While using pCloud, hit the playlist that you want to give out and choose the “Share” dialogue to create a link and send it on Facebook, Messenger, or Gmail. To manage your existing playlists, hit the “Playlists” tab. Select one to play, rename, or delete it. You can also see how many songs each playlist contains, when you last modified it, and when you created it in the first place.